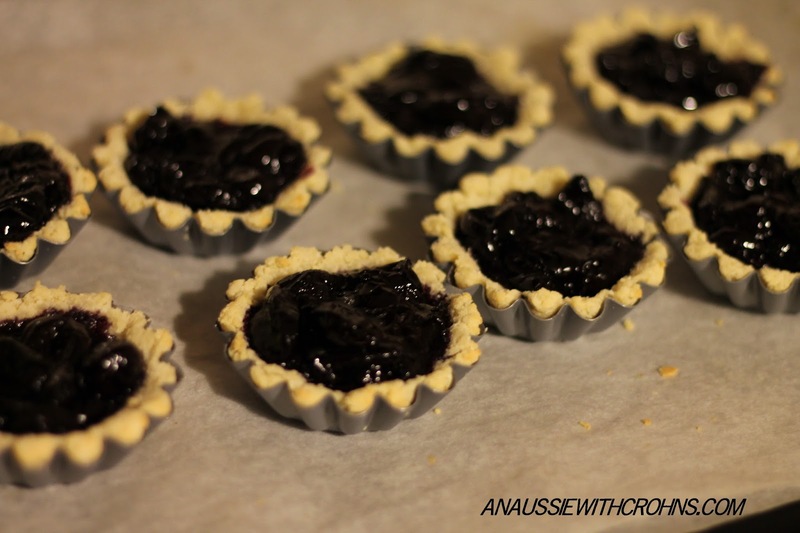 Ok, these are a bit trickier than my usual recipes, but I so wanted to be able to make a jam tart with all that jam we've been experimenting with. They are a little fiddly and it takes a while to mold the pastry into the cases. BUT it's worth it! Be careful with the cooking; I rotate my tray before putting it back in the oven with the filled tarts. They can get too brown very quickly. Jam (approx 1 cup) See my easy recipe here. Spray flan tins with cooking oil. Mix almond and coconut flour together in a bowl. Stir honey and oil into flour mixture. Beat egg and mix into flour mixture. Scoop heaped tablespoons of mixture into flan tins and shape using fingers. Bake empty pastry cases for 5 mins. Bake again for 5-10 mins. Be careful, they brown quickly. Cool before eating. I store mine in the fridge.